“ Dentistry is a field of professionalism and education. Many patients call us doctor, but some look at us as an engineer, of course sometimes we are an artist that craft pretty smiles. As a 4th year student, it cant be denied that I have been overwhelmed by loads of emotion throughout the years. The transition into the clinical years was not an easy one . Some will be doing awesome in the clinics, and some might struggle. And im one of them who struggled, I just felt unprepared, when my friends are already on their 5th patient and I was still having trouble getting patients in my chair. There are just so much anxiety when it comes to clinic-related, the fear of not doing a good work on a stranger that pays for the procedure, often holds my confidence back. This really doubt my decision of choosing dentistry, but thinking about the time, money and hope that my family and loved ones invested in me. That’s not a thought I should have. As time passes, I begin to feel much more comfortable in the clinics. Since talent is not on my side, it takes practice. Gaining more and more experiences everyday, not only on dental skills, but also the skill in handling and coping with patient’s demand. Many patients often have the fear of dentist, so we are the one to shape their emotions and help them overcome it. 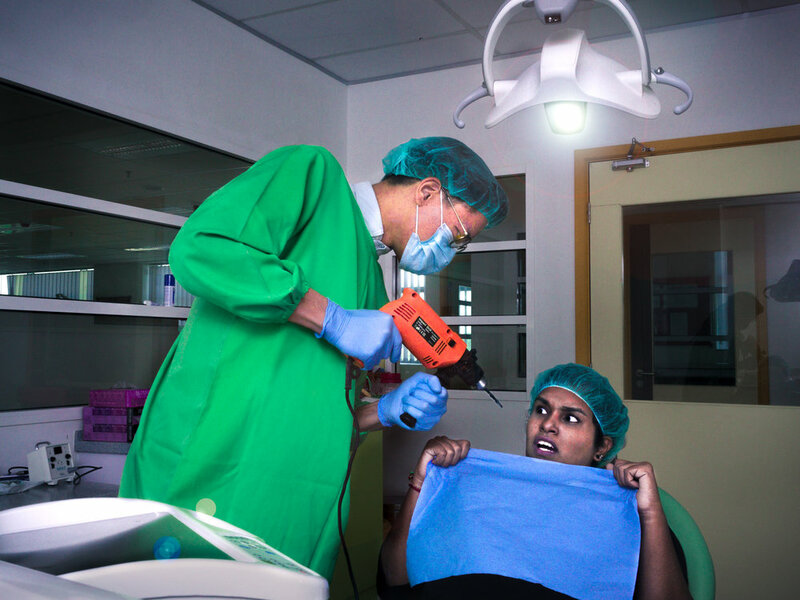 Changing their perception of dentist as a friend, and not a foe.